AMD seems to be on a roll lately, releasing the brand new ATI Radeon HD 5570 graphics card that ought to keep gamers who are on a tight budget and yet want something that is game-worthy on their rigs. This is touted to be the perfect solution for end-users who are looking for an energy efficient, low-profile DirectX 11 card that will primarily see action in small form factor PCs. 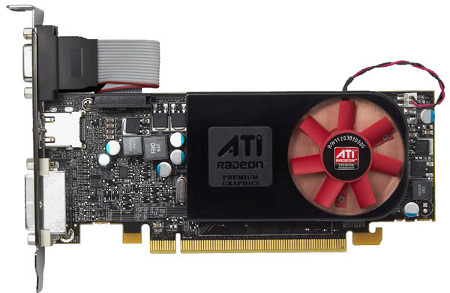 The ATI Radeon HD 5570 graphics card is warmly welcomed into the award-winning family of AMD graphics cards that offer full support of DirectX 11 graphics, in addition to ATI Eyefinity multi-display technology and ATI Stream capabilities. Apart from the aforementioned ATI Eyefinity and DirectX 11 support, the ATI Radeon HD 5570 is also full well capable of delivering full 1080p HD playback as well as support ATI Stream technology, where the latter will help boost performance for video playback and productivity applications. All of these are made possible while running on a full Microsoft Windows 7 experience – now ain’t that something? We just hope you have a processor that is able to keep up with all of the graphical action. AMD claims that a sleek, energy efficient PC based on ATI Radeon HD 5570 graphics, when merged with the power of its new AMD Phenom II X4 905e processors at 65W and AMD 7-series chipsets, will be able to offer a performance that you can be proud of – powering immersive gaming and vivid digital entertainment. Whether you are a system builder or home theater enthusiast who want Eye-Definition entertainment, the AMD ATI Radeon HD 5570 graphics card is able to offer such an experience. It is interesting to note that the ATI Radeon HD 5570 is capable of delivering up to a 60 percent performance improvement over the closest competing product in its class. Connectivity options include HDMI 1.3a with Dolby TrueHD and DTS-HD Master Audio support, resulting in a premium media PC experience. Well, have you not shortlisted this already on your shopping list?